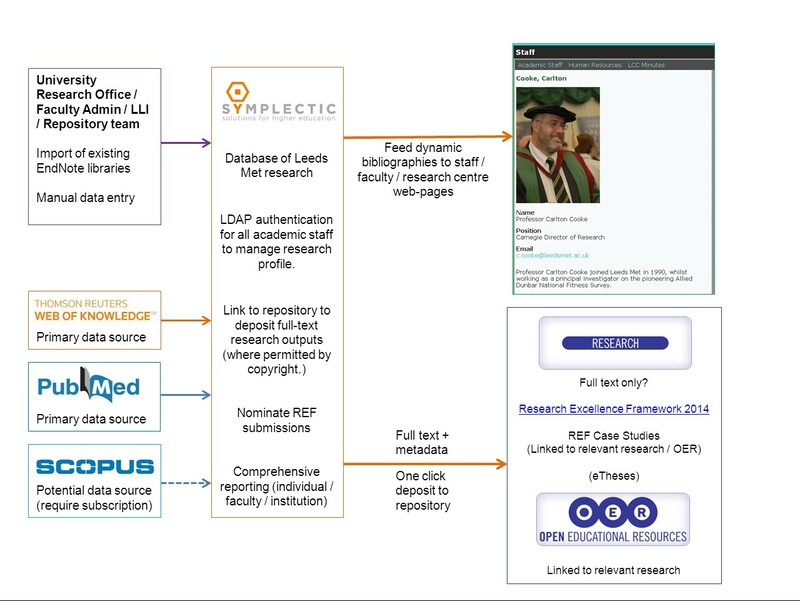 …a long term objective is also to ensure that the repository is well embedded in the institutional infrastructure and that relevant resources are easily discoverable, both within and without, by our own students and staff as well as scholars in the wider world, whatever discovery tools they may use and whatever their level of information literacy. The EBSCO Discovery Service provides a mechanism, a one-stop-shop or library search engine, to explore a wide range of Library resources including the Library catalogue and electronic databases and we have been able to liaise with EBSCO to add the repository as a searchable target. As mentioned in this recent post I’ve been experimenting with WordPress for presenting OER and have been testing a pre-release version of a WordPress plug-in, developed by the Triton project at the University of Oxford to facilitate a dynamic collection of OER in a WordPress blog. Developer @patlockley describes the overall functionality of the plug-in here and also covers some of the limitations posed by the broader OER infrastructure here emphasising that “no standard API exists across repositories so as to facilitate a single approach to aggregation for an aggregation creator” – as well as a seperate post here considering limitations of the WordPress platform itself used in this context and associated technical considerations. In summary the plug-in searches Xpert, Merlot and OER Commons (via their API) as well as Wikipedia, Wikibooks and Wikiversity for openly licensed material; Mendeley for journals and with options to add RSS feeds for blogs and podcasts. Obviously the plug-in is only as effective as the keyword data / api / source repository(ies) that it is using and the fifth link here actually points at an entirely different resource (in Jorum) with no relevance to Civil Engineering, presumably due to an error at some point along it’s, er, conjugation – as the plug-in does not search Jorum directly this must have come via Xpert which does harvest Jorum. While experimenting with the plug-in I’ve also had instances where links have returned 404s or been otherwise broken so one requirement I think would be the option to remove links from the collection that are incorrect, broken…or simply less relevant; to allow the WordPress administrator fuller control of the collection. * The only caveat from my perspective is that my own institution does not formally support the use of WordPress, nevertheless, there is certainly a requirement, explicitly identified by senior stakeholders, to develop tools to cross-search Open Educational Resources and, in this context, I think we can learn a lot from the Triton project. 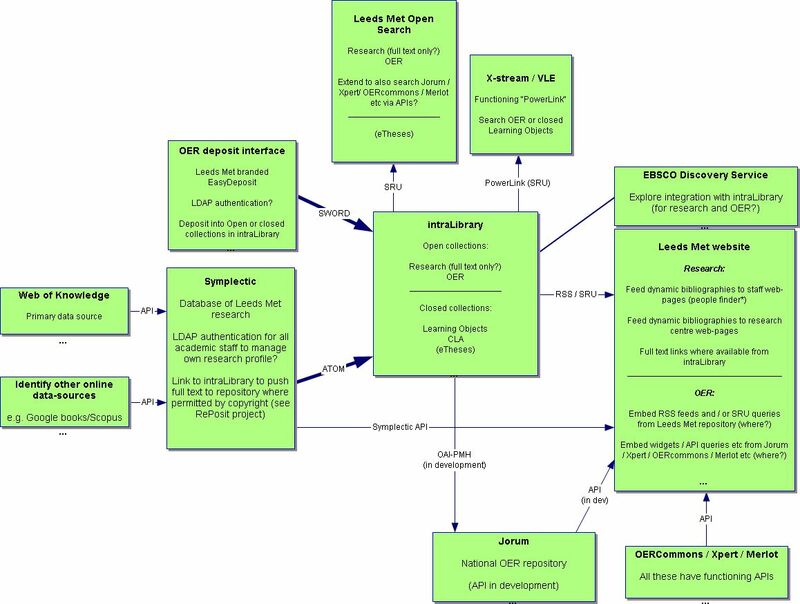 The titular Unicycle of our phase 1 ukoer project at Leeds Met referred to “a prototype mechanism for the export and import of open educational resources” that would seek to “share OER materials with…HE community via JORUM”. To recap, under the ukoer programme, it was mandated that all resources released by an institutional project must also be made available from the national repository service Jorum. The method used by most phase 1 projects was harvest of metadata only by RSS, however, in our case, we were unable to produce an RSS feed in the necessary format and in lieu of OAI-PMH which was not supported by Jorum, the requirement was fulfilled by a full IMSCP transfer – I simply uploaded a zip file of all resources that the JORUM tech folk were able to ingest directly into DSpace. At the time this was seen as the ideal solution for Jorum which, as a “repository”, should seek to preserve actual files rather than just URIs pointing to resources elsewhere. However, it meant that our files were duplicated in both repositories and that our repository would inevitably be eclipsed by Jorum in search engine results. I’ve explored these implications elsewhere and they have also cropped up as part of the ACErep project and I have become convinced that a better solution for us would be for metadata only to be harvested (or possibly deposited by SWORD*) including a URI in our institutional repository. As ukoer folk will be aware, the management of Jorum is currently undergoing substantive restructuring; hitherto a joint project between EDINA and MIMAS, from 1st August 2011, the service will be managed exclusively by MIMAS and will liaise more closely with the NDLR – http://www.ndlr.ie/ – in Ireland (also based on DSpace) and utilising a common, Open Source code-base. 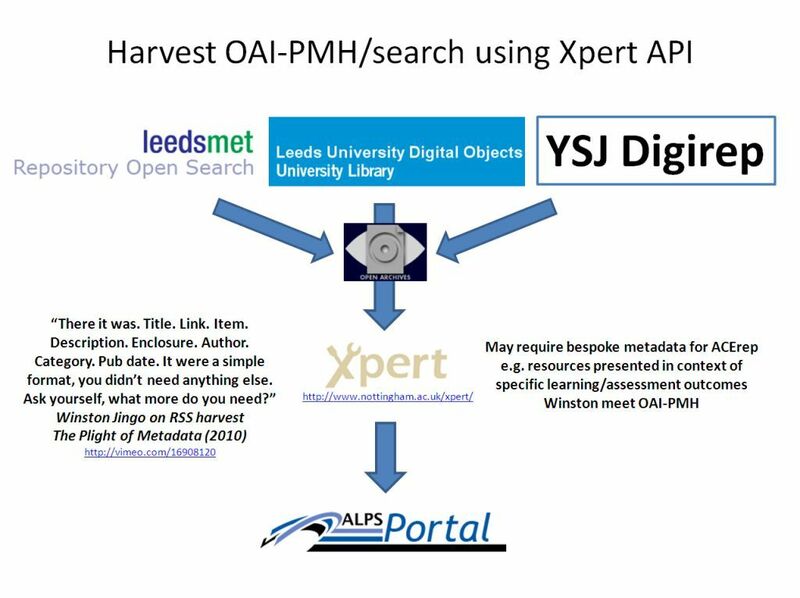 One of the likely early developments from this is that Jorum will soon support OAI-PMH – the protocol is already supported by the NDLR running on a more current version of DSpace – allowing us, I hope, to revisit how our resources (metadata only) are ingested into Jorum. In addition, MIMAS will be putting further development efforts into enhancing the Jorum API which has already been identified as a pre-requisite for both our ACErep project and the PORSCHE project at Newcastle University. 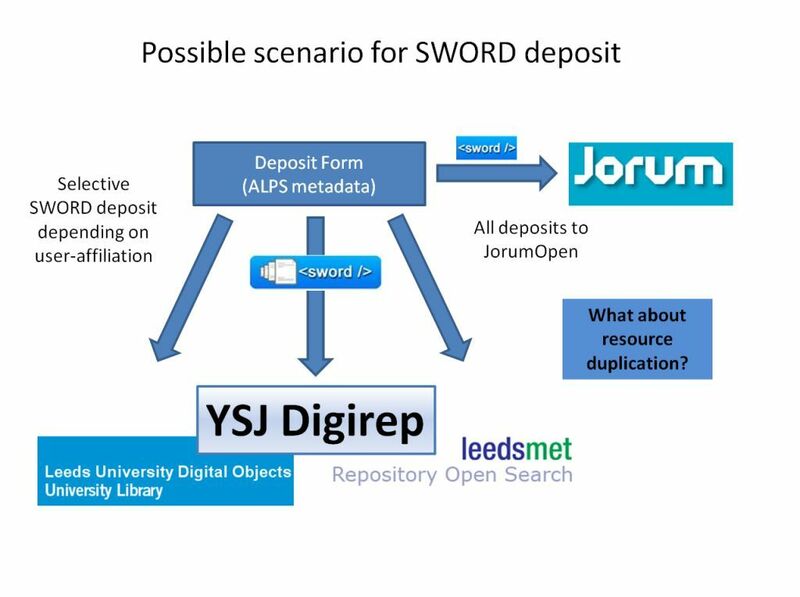 * SWORD deposit (metadata only) into Jorum in tandem with file deposit into a local repository should be technically possible I think and would potentially have the benefit of records being available immediately from the API rather than the inevitable delay associated with harvest (Xpert harvests overnight). This evolving national infrastructure is obviously essential to advocacy around Open Educational Resources; the development, release, use and reuse of OER at an institutional level and will necessarily underpin developing institutional infrastructures. 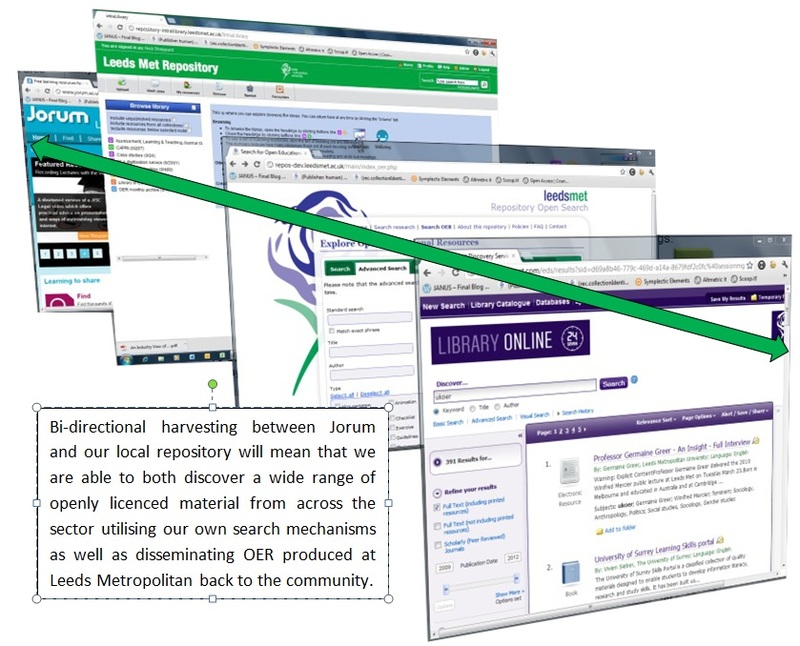 For example, in conjunction with promotional activities here at Leeds Met and technical developments from Intrallect – notably a desktop SWORD client (beta) that can capture core ukoer metadata and deposit to our intraLibrary installation – I hope that we can close the ukoer circle such that teaching staff can source their own OER from Jorum, Xpert or other institutional or subject source – reuse and/or repurpose under the terms of Creative Commons and redeposit back into our local repository and thence automatically to Jorum / Xpert / other syndicated OER services (e.g. Learning Registry) via OAI-PMH and / or SWORD. Nick Sheppard at DevCSI’s OER Hack Day from UKOLN on Vimeo. I’ll also be considering questions of interoperability and a few ideas we are exploring in the context of our ACErep project around the possibility of building value added services on centralised repositories of harvested data. I’ve included this as my (lack of) professional background in the area strikes me as relevant for good or ill – I’ve only been working with repositories/metadata since October 2007 and everything I have learned has been on the job, so to speak. I am not a qualified librarian or professional cataloguer (shambrarian at best) and I think this has had both benefits and drawbacks; I am *ahem* unrestricted by formal theory and have also needed to find my way through a great deal of esoteric jargon often to gain some fairly basic understanding – ultimately, I think this has necessarily resulted in a pragmatic approach and a willingness to take advice! 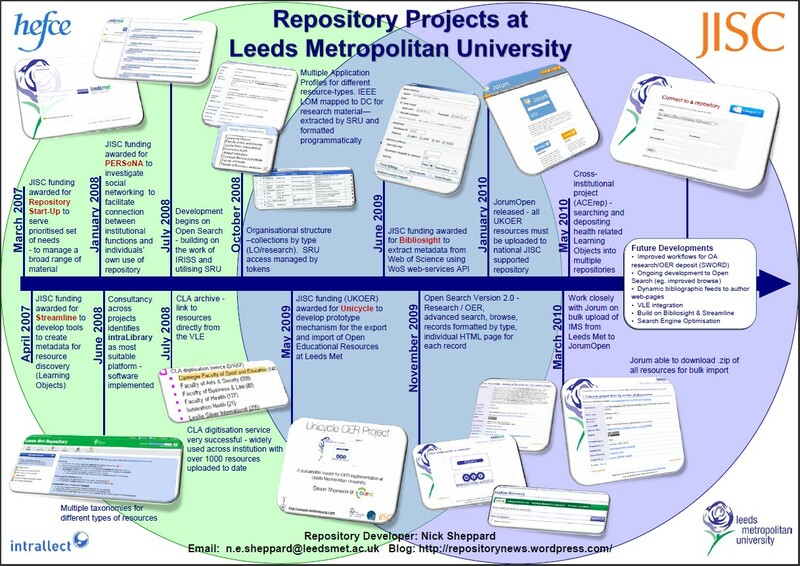 Repository projects at Leeds Met, in chronological order, are the Repository Start-up itself, Streamline, PERSoNA, Unicycle, Bibliosight – all funded by JISC – and our current ACErep project which is funded by HEFCE. Our repository platform is intraLibrary which uses IEEE LOM metadata. Slide 13 – The solution – Xpert?